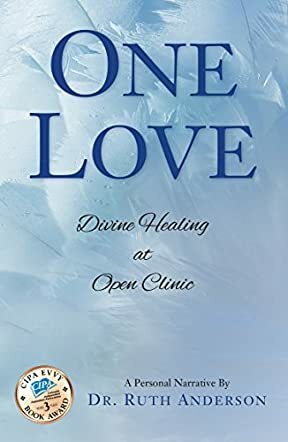 One Love: Divine Healing at Open Clinic by Ruth Anderson is the best spiritual book I have read this year. Yes, I have never read anything so inspiring apart from the Bible. Ruth Anderson brings in a completely new way of looking at the realities of life, love, and death, a refreshing testimony of life beyond the tomb. In this moving memoir, the author unveils secrets about the power we carry within us, the power to connect with the spirit world, and to hone our sixth sense to perceive that which the eye cannot see. She shares her experience of energetic healing, underlining the part played by her Spirit Guides to heal spirits and the living. This is a powerful story about the intersection of our mortality with the Divine and the positive connection we share with others. I was pulled in from the very beginning and intrigued by the author’s childhood experience. She explores her family mechanics and moves on to show how interconnected we are, stressing our ability to unlock the healing energy we carry within us. Her writing feels like magic, sweet like drippings of the honeycomb, but it is what it reveals that captivated me the most. It opens a door for the reader to look beyond the material and enter into a field of energy that is both healing and empowering. One Love: Divine Healing at Open Clinic is a bold witness to Divine Love and to what we are called to be. The author struck powerful chords in me and I am sure I won’t look at life the same way again. A wonderful revelation and a very inspiring and uplifting message.